Production is expected to start this summer with the film releasing in theaters on July 7, 2017. 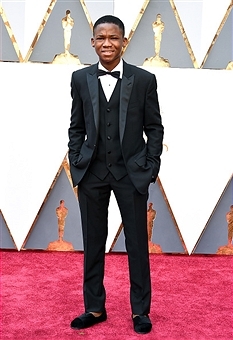 Abraham Attah has joined the cast of “Spider-Man: Homecoming,” according to Variety. Directed by Jon Watts, this is the first major role that Attah has taken since that Netflix film. He joins recent additions Donald Glover, Martin Starr and Logan Marshall-Green, alongside Robert Downey Jr. playing Iron Man and Michael Keaton playing The Vulture. Tom Holland will play Peter Parker in the reboot with Marisa Tomei taking on Aunt May. Michael Keaton is also on board for the role of a villain.